Good Old German PferdeMedicSalbe | The unmistakable! is recommended by orthopaedists and sports physicians! ... ingredients in pharmacopeia quality! ... higher overall content of plant extracts. ... now with wintergreen oil for a deeper-acting effect. 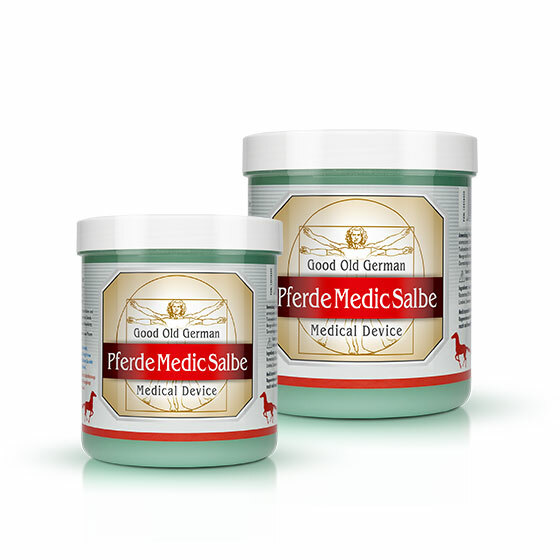 Products Good Old German PferdeMedicSalbe The trusted Pferdesalbe has been further enhanced – as a medical device “the unmistakeable”! Menthol and camphor for soothing, long-lasting cooling. Cooling has proved effective for many years as a first-aid measure. Arnica and rosemary are ideal for massage to improve circulation. The heat penetrates into the deeper muscle layers and provides long-lasting relaxation. Pain-free exercise with Good Old German PferdeMedicSalbe - the road to recovery! Products Good Old German PferdeMedicSalbe “The unmistakeable” - the medical device also in a dispenser! In addition to the classic tubs, Good Old German PferdeMedicSalbe for relief of tenseness in the back, muscle and joint pain after exertion as well as tired and stiff muscles is also available in a tube and practical dispenser. Simply use like a body lotion and massage in gently. Absorbed immediately, with a beneficial effect. For deep heat massage in vigorously and apply double the amount to the affected area. Products Good Old German PferdeSalbe SPORT Quicker recovery for the next training session! Keep your cool with tiger grass and caffeine - feel the energy when you give it your all! Apply before and after sport to master any challenge. Feel your tired and stiff muscles become reinvigorated and re-energised. Good Old German PferdeSalbe SPORT cools you down and warms you through. Unmistakeably beneficial! Apply the gel like a body lotion - it is absorbed immediately and has a pleasantly fresh fragrance. For stiff muscles, apply double the amount on the affected area. 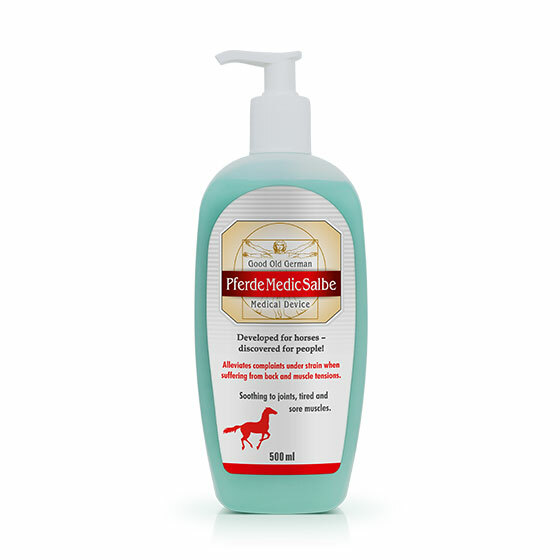 Products Good Old German PferdeSalbe EXTRA Quickly revitalises tired legs. Can also be applied over tights! Cools and vitalises swollen legs and feet, with essential oils as well as horse chestnut and vine leaf. Beneficial for veins and swollen blood vessels, for quick application whenever you need it. Brings lightness and energy back to tired legs! Good Old German PferdeSalbe EXTRA can also be applied directly over tights - it is absorbed immediately without leaving a sticky residue, is beneficial and has a pleasantly fresh fragrance. Regenerating body care in premium quality. Cosmetics for fitness and flexibility! Products Good Old German Warming Cream Soothing warming effect with thermo-active formula - free from capsaicin! Good Old German Warming Cream warms and loosens muscles and joints, and relaxes cramped muscles, providing long-lasting deep heat. The ideal therapeutic temperature for relaxation is reached after a warming phase of approximately 30 minutes. Feel comfortable again - more relaxed, more flexible! With rosemary oil and glycerine, completely free from capsaicin. The cream is absorbed immediately, creating a pleasant heat without irritating the skin. It leaves no film residue or unappealing smell on the skin. Unmistakeable wellness from your pharmacy! 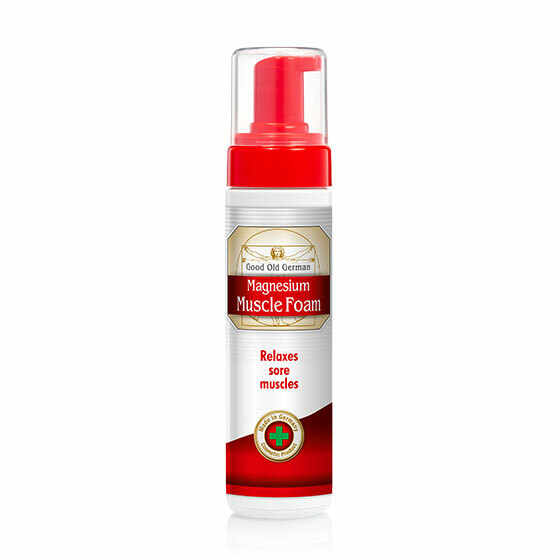 Products Good Old German Magnesium Muscle Foam For direct application on muscles. Soothingly beneficial mixture of magnesium aspartate and magnesium sulphate combined with an active-warming complex. The soothing effect can be felt immediately. Products Good Old German Vital Gel Medical Device For neck and shoulder self-massage. Menthol and camphor for soothing, long-lasting cooling. Cooling has proved effective for many years as a first-aid measure. It soothes pain and reduces swelling. 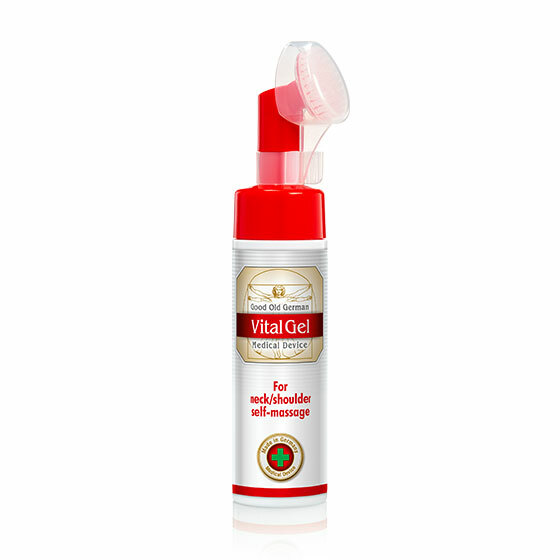 Good Old German Vital Gel - the premium quality regenerating body care for fitness and agility. With integrated massage brush for precise application on affected areas. At first, the girls on my self-defence course looked at me strangely when I took out my Good Old German PferdeMedicSalbe to use after my shower: “Pferdesalbe? That’s the kind of thing my granny uses...”. They didn’t realise how effective and distinctive the sport balm is. No matter how tiring the workout has been, I feel completely refreshed after using the balm and I also have the feeling my muscles recover more quickly. And I am obviously on to something as, meanwhile, I see the unmistakeable Good Old German PferdeSalbe Sport in a lot of sports bags in the changing rooms. I used to smile when the older people travelling with me would complain about their aching knees when we returned to the mountain lodges in the evenings. But now I understand those complaints first hand. But I would never want to give up my climbing and mountain bike trips because there is nowhere else that I can switch off land unwind like I do on these excursions. And, of course, it keeps me fit. Luckily, I can always fit a tube of PferdeMedicSalbe into the smallest of my rucksacks, so even on trips lasting several days I can keep up with all the youngsters - without being a source of amusement for them! A few years ago, after experiencing an upheaval in my private life, I took up jogging. It wasn't long until I had a real taste for it - if I'm honest, mainly because of the other people at the running group. 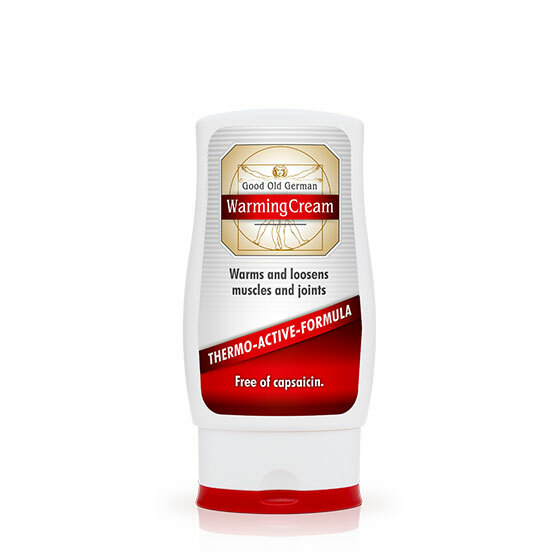 At the start, when I was new to this sport and suffered from aching muscles, Good Old German Warming Cream was an essential item for me. Running is now an established part of my day-to-day life and I would never want to be without it or my new circle of running friends. 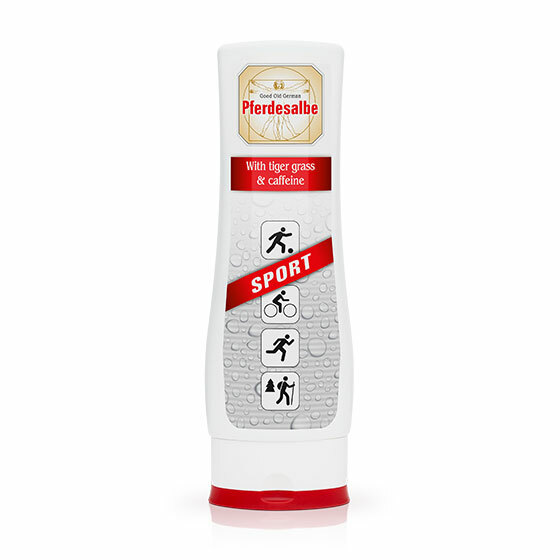 Meanwhile I am even running a few half-marathons, always with Good Old German Warming Cream on hand when I need it. I am a passionate skier. Ever since I was young, I have enthusiastically dedicated myself to this hobby. On the long descents I enjoy taking in the nature around me as well as the exhilaration of skiing itself. Now that I am getting older I notice the physical exertion rather more than I used to, so that’s why I always have my PferdeMedicSalbe within easy reach. It quickly relieves smaller sprains and helps if my knees or back feel a little sore. I use it straight after the descent for regeneration. This means I can also enjoy the après-ski and, the next day, I feel good that I am fit again and ready to get back on the piste. We have a large garden and it doesn’t get any easier to look after it at our age, despite having meanwhile designed it to be lower maintenance. For many years Good Old German Pferdesalbe Gold has helped us if we’ve ever overdone it slightly with the work outside and have aching joints. We simply love our garden but it needs regular care and attention in order to keep it looking good. We’ve now tried PferdeMedicSalbe and it means we can potter around outside for as long as we want without hesitation. PferdeMedicSalbe is a wonderful enhancement of the old, reliable Pferdesalbe. The effect, the new name and the slogan say it all: “the unmistakeable”, and this means there’s no chance of us picking up the wrong product by mistake. At last the right balm is always available from the pharmacy! I spend many hours each day at a computer for my work and, my neck in particular, very quickly started to make me resent this. Then I discovered Good Old German Vital Gel, and now I can’t imagine life without this product. I apply it to my neck and shoulders every day, which is really easy to do thanks to the integrated massage brush. Plus it keeps my hands clean. It also means I can easily use it throughout the day without interrupting my work to wash my hands - which is especially practical as I’ve always got so much work to do. My tensions have been completely eased and I am free from discomfort throughout the day - it’s such a relief. I warmly recommend it to everyone! The success story begins in 1982 when pharmacist and rider Dr. Ulf Jacoby develops a gel for his horse to promote regeneration of its legs after an intense training session. 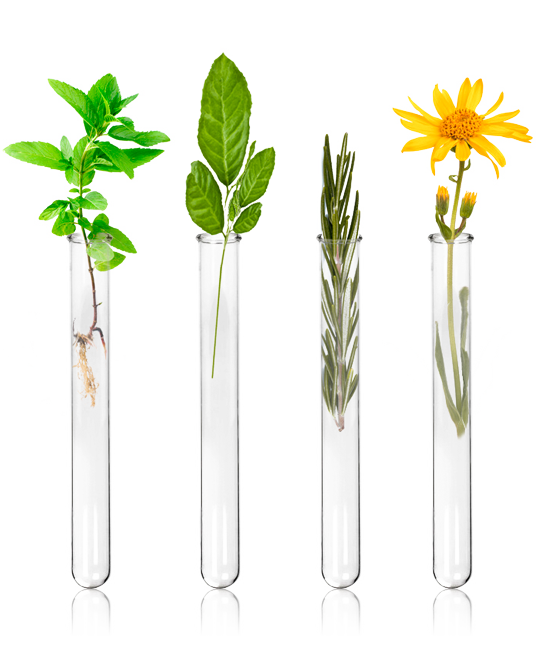 Natural active substances play the most important role – the gel, known as “Pferdesalbe”, contains exclusively plant-based active substances which have proved reliable since time immemorial, combined in a unique formula: arnica, rosemary, menthol and camphor. The plant extracts are meticulously produced and carefully combined in a special procedure with beneficial care substances. It doesn’t take long for riders to discover the benefits of Pferdesalbe for use on themselves as well. They increasingly start to use it for their own joint problems, tenseness in the back, and stiff and tired muscles. By 1984 Dr. Jacoby takes out a patent* for the horse balm as the only “Pferdesalbe”. Over time the pharmacist and his growing team develop numerous other products in accordance with the same quality standards. These products are sold successfully around the world, and include “Good Old German Pferdesalbe Gold” which is available exclusively from pharmacies. The success is closely connected to the corporate philosophy: The driving force is the development, manufacture and improvement of quality products for increased health and care for humans and horses. In this connection the parent company, leovet Dr. Jacoby GmbH & Co. KG, operates the business concerning the more than 60 care products developed for horses, and Equimedis Dr. Jacoby GmbH & Co. KG takes care of the products for humans. New milestones are set in 2015 and 2016 with the Warming Cream, the Sport and Extra versions of the Pferdesalbe as well as the further enhancement of our classic Pferdesalbe to create a more effective medical device: “Good Old German PferdeMedicSalbe” in pharmacopeia quality. The further improvement – from a care product to a medical device – is also reflected in the new name. Whereas a care cosmetic primarily has beneficial properties, a medical device can also have alleviating and preventative properties as, due to the higher overall content of active substances, medical devices have a more intensive as well as caring and therapeutic effect by relieving symptoms. The difference is immediately clear. Whether a medical device or care product, however, some things always remain the same: the innovative products at the traditional high level, made in Germany, and in the best pharmaceutical quality – “the unmistakeable” with the power of nature. Do you have any comments or questions regarding our products? Get in touch – we will respond as soon as possible.